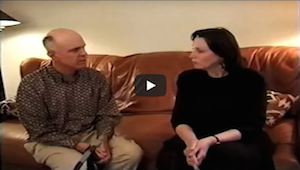 Therapist Testimonials of Emotional Healing Using e.c.c. We would like to thank the Psychologists, Social Workers, Marriage and Family Therapists, and interns who have contributed the following information about their experiences using e.c.c. – (in no particular order) Patricia Burke, Ph.D., Dolores Bialecki, R.N., M.F.T., Jan Di Santo, M.F.T., Belle Hazelhurst, R.N., M.F.T., Cindy Herbert, Grief Therapist, Barbara McRae, M.A., Elena Michaels, M.F.T., Gary Sahley, M.F.T., Dan Staso, Ph.D, Carol Suter, Psy.D., Sharon Henderson, Ph.D. I was working with this couple, and the wife was angry about the husband working so many hours and not standing up to his boss. She was losing respect for him. She had typed the "perfect" letter for him to give to his boss, (which expressed his limits and refusal to be overworked), but he hadn't the courage to deliver it. I decided to use e.c.c. He recalled a trauma that rated life threatening when, at age seven, he was trying to hide in a very confined space, afraid that his father was going to strangle him. He described in great detail the terror of seeing the doorknob turning, the door being hit with something, and then being broken down. And then he felt his father's hands around his neck. Talking about this, he expressed the exact same feelings that he described when talking about his boss. We did the clearing and it was very, very emotional for him. He was a 40-something executive type and he was crying, and I'd never seen him that way. He just couldn't get over how powerful that was. He was very moved when he sat back down on the couch with his wife. He said that he felt like he had regained a part of himself-- that part that was trapped in that closed room for almost forty years. Out of that original incident he had decided that "there is no help-- you just have to take it, whatever is dished out." So that when his wife kept telling him, "You have to give your boss the letter," there was a part of him that believed that it would be life-threatening to do so. He tested strong for the need for support activity, and he said that he knew what it was. He was going to rewrite the-letter and give it to his boss. We processed a lot that night, the three of us. At the end, his wife indicated that she had begun to respect him again. It was very profound for him. He was reaching for the Kleenex box a lot, and I must admit I was, too. Before taking the e.c.c. workshop I had been working with B.H. for about four months. He reported having been severely depressed all his life. He was alienating everyone in his life, including his son who was afraid of him. I learned the e.c.c. technique and in one three-hour session, B.H. and I cleared his entire Target List. There was one item in each category. I think it went rather quickly overall, because I knew his issues. The changes were phenomenal. His sisters tell me he's much easier to live with. His son isn't afraid of him anymore. B.H. himself is in a lot less physical pain, and he's much happier. We've taken care of most of his problems, and he only comes in now and then. It was a wonderful process. This kind of work is so rewarding! I was working with a woman who was always late. It was a problem for both of us so I decided to use e.c.c. We went back to a scene in her past at age two when she had walked in on her parents who were struggling with a knife. Her mother looked at her and smiled and said, "Go back to bed. You're not supposed to be here. You always show up at the wrong time!" When we cleared it, she felt a change right away. She's been early or on time for our meetings ever since. I was working with a client on and off for more than a year. She previously had a lot of therapy. She had suffered a lot of abuse, including maternal rejection. She was a bright woman, but around her supervisors she would respond as a needy child, as if trying to get something from them that she hadn't gotten from her mother. She behaved very non-assertively, and experienced a lot of tension, stress, and pressure at work. After I learned e.c.c., we cleared the maternal rejection issue, and she immediately approached her boss.and said that they needed to have a conference. She was suddenly very assertive and assumed a professional role. This was very different for her. She was no longer pushed back into the needy child pattern. Her self esteem got better. She had the cognitive knowledge, but was unable to break through the emotional barrier until we did the clearing. It was surprising to me and a dramatic change for her. I was working with a man who was a veteran of therapy. Using muscle testing, we located something at age sixteen. He had been very aggressive in his sexuality with his wife, and this was a problem for her. At sixteen, it turned out, his older brother had teased him or accused him of being "queer." We realized at that time he had made a decision not be seen as even remotely effeminate, and so his sexual behavior had become needlessly aggressive. Every time he was inappropriate with his wife, he was at some deep level telling his brother, "See, I'm not gay!" When we cleared this, he had a tremendous emotional release. "I can't believe this!" he told me. "In about forty-five minutes you've gotten to the stuff that I wasn't able to talk about in a year of therapy." When I saw him the next day, he told me that he had woken up in the middle of the night, thought about his aggressive sexual misbehavior, and said to himself, "It's over. It's really over!" The changes have lasted and his relationship with his wife got a lot better. I got the e.c.c. manual before I took the workshop. I read the transcripts and decided to try something in my morning group. One of the clients was a psychology student who had become extremely anxious and afraid to participate in one of his graduate classes. He had enough insight to realize how this originated. When he was much younger, since he was Greek, he was pulled out of the regular class and sent to a special class. It was this fear that he felt. He thought somehow if he said anything wrong, that someone would come along and pull him out of class and put him in with the "stupid" students. I didn't do any muscle testing. (I hadn't taken the workshop yet.) But I used the Clearing Technique, and the results amazed me. At the next class he attended, he felt a few seconds of anxiety, and then he leaned forward to participate. He's been doing a lot better ever since. Recently I worked with a twenty-one-year-old who had a history of TMJ problems with headaches and pain in her neck and shoulders. She clenched her teeth during her sleep. She'd had three jaw surgeries, physiotherapy, sessions with a psychologist, and other alternative health treatments. Using e.c.c., I located the primary incident at age 15 which concerned sadness, grief and loss over the divorce of her parents. This precipitated the trauma and held the pain in place. There was an amazing shift and relaxation following the clearing. The pain which was chronically in the ranges of six to eight on the ten scale was reduced to three. My client was delighted: "We had given up hope" .... "You're the first person who ever helped me." I got lots of hugs! In the past three weeks the pain has settled around four. I love working with e.c.c. It is systematic, thorough and gets wonderful, stable results! "How did you do that, Mom?" My nine-year-old daughter is very competitive and usually gets upset when she loses at the games we play. Saturday night after the first full day of the e.c.c. seminar, she convinced me to play this game, and she lost. She went to her room and started throwing things around, angry as usual. I went to her room and administered the Clearing Technique. After that I held her in my arms for about ten minutes. Then I told her to get ready for bed. She came into my room a few minutes later and said, "How does that work, Mom?" I asked her what she.had experienced when I did the Clearing. She said, "The anger is all gone! I feel completely different!" I asked her what it felt like. "It's like going from this... (she made a sad face) ... to (she held her hand in front of her face so I couldn't see) this." (She took her hand away to reveal a happy face.) "You can share that in your group tomorrow," she added as she left the room. A woman patient in the hospital told me how much her eleven-year-old son had turned away from his father. Several years ago the drunken father brandished a knife and threatened to kill everyone in the family. Since then dad had got into recovery and wanted to make amends, but the son ignored and avoided him. Her son was there, so I got him curious about muscle testing. Then I asked if he wanted to try something. Grudgingly, he agreed. I asked him to remember the time that his father was drunk and threatened to kill the whole family. He said, "That never happened." I said, "Pretend as if it did," and asked him to close his eyes. I did the Clearing, and after a while he turned around. His eyes were open wide and he had this incredulous look on his face. "What was that like for you?" I asked. "It was like being in Heaven!" he said, amazed. I don't have any follow-up yet to see if his relationship with his father has changed, but just from the expression on his face, I knew that something was different. e.c.c. is an amazing technique! Everyone I use it with has a significant shift. One divorced client couldn't stand to be in around her ex-husband. She would dread the encounters and even get hysterical. We cleared a number of past incidents when they were breaking up. This resulted in a dramatic difference. Afterward, she could not only stay in the room with him, but even enjoy the interaction. "I can't believe the difference," she told me. "I feel so empowered!" "They Said I Wasn't Authentic Enough"
That's what my client told me when he complained of not getting the contract. His prospective employer rejected his offer because he didn't present himself as "real" enough to the company officials. After getting the green light to use e.c.c. on his "failure to be authentic," we went back to age thirteen. He had asked a girl out, and was extremely "authentic" in letting her know that he cared about her. She rejected him. He then decided to avoid being "authentic" again, because it could hurt. Mostly since then he had succeeded in his avoidance of being "real". We cleared that incident and it was a relief for him and unblocked him. In fact, he soon went back to the same company and secured the contract that they had refused him before! I guess they eventually found him to be "authentic" enough. At a six month follow-up, he was still being "authentic." He told me, "I've been doing work on myself for a long time, and the few experiences I've had with you have been the most dramatically helpful." My client came from a large, abusive family where she always felt lost and alone. She had a horrendous history and the resulting sense that she never belonged. In the muscle testing we went back to conception. I asked if this was a spiritual issue. The response was yes. I asked her if she had a feeling that she'd come into the wrong life. She started to cry. We muscle tested again to see if any mistakes were made, which of course there were not. She was meant to come into this body at this time. But somehow at conception, she'd forgotten all that. So we explored that and cleared it. The clearing took a long time, but it was very powerful. She couldn't recall everything. But when she came out of it, she could remember the feeling of having God all around her and knowing how precious she was, how much she was loved, and being told, "You're never alone." It was a very profound experience. She hugged me and thanked me. Afterward, I noticed a real change in her. There was less questioning of herself, and no more wanting to give up out of that "not-belonging" feeling. She was more connected in a deep, deep way.